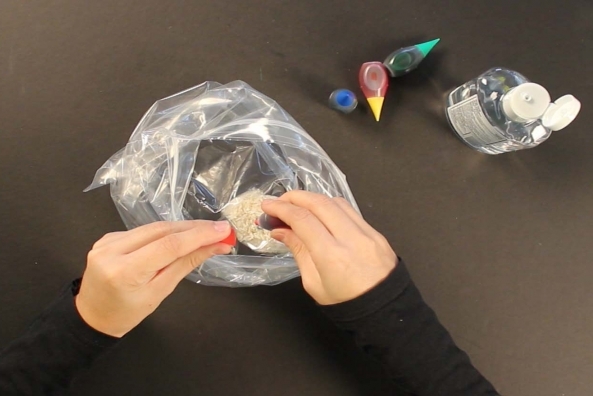 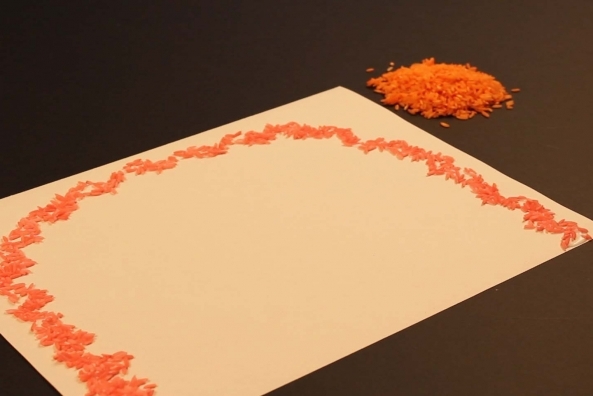 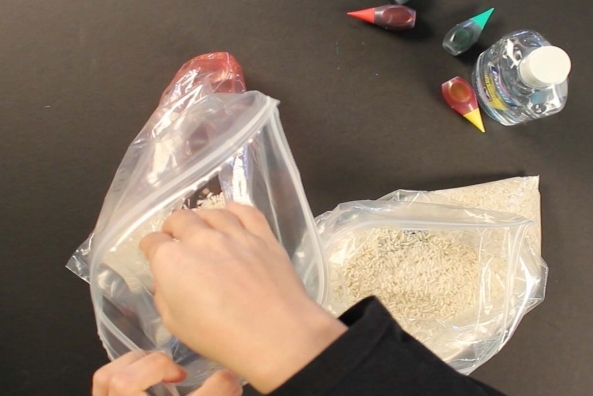 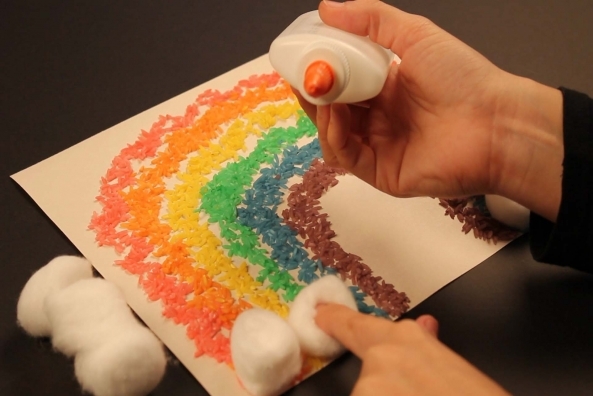 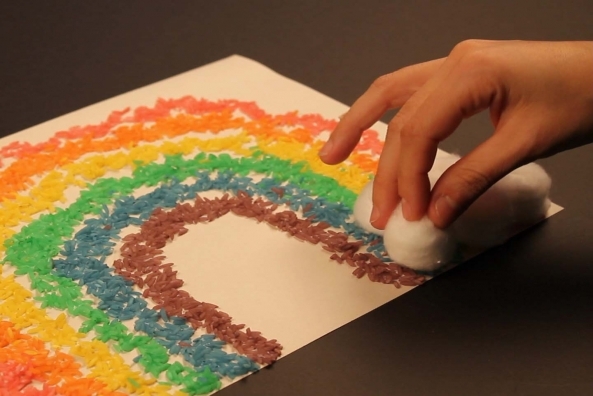 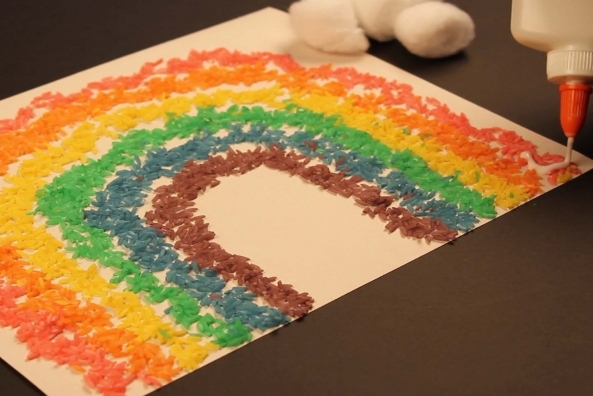 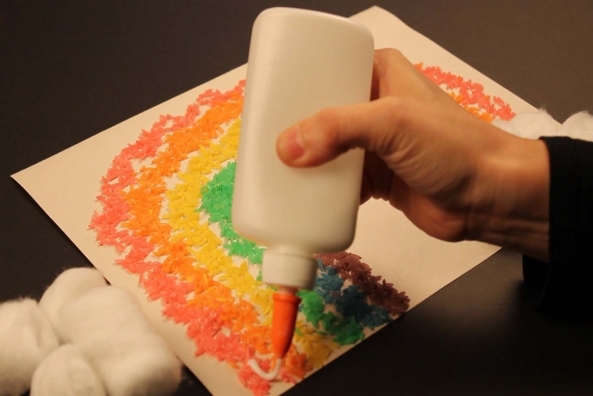 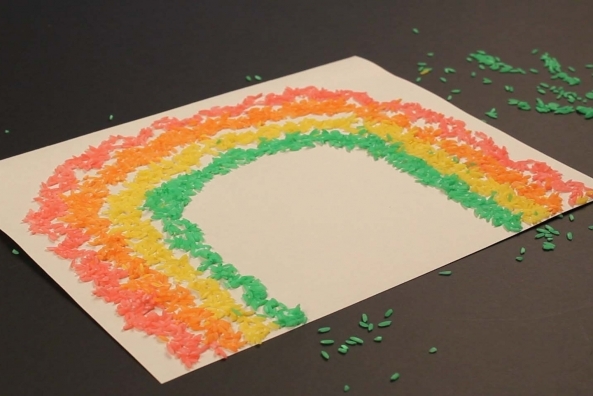 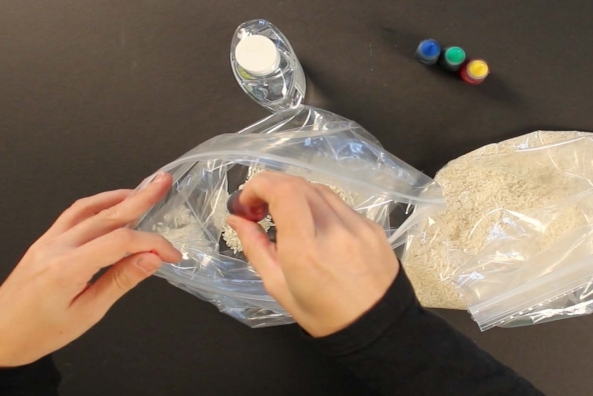 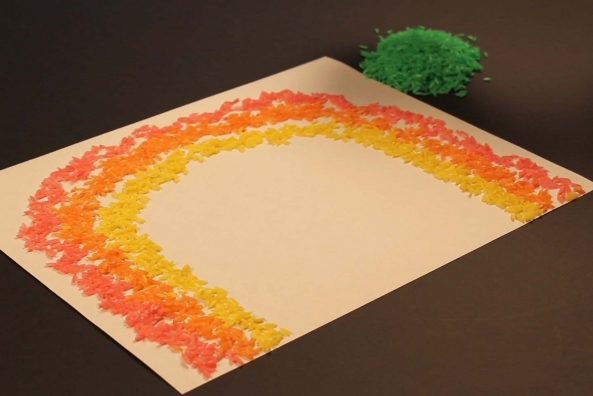 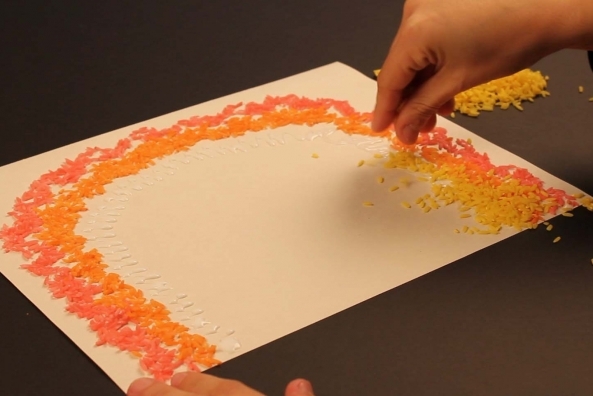 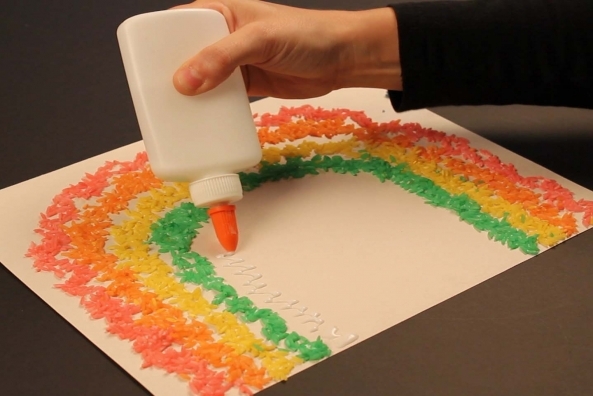 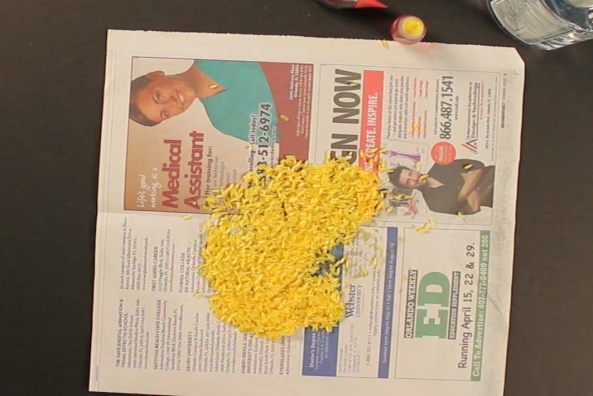 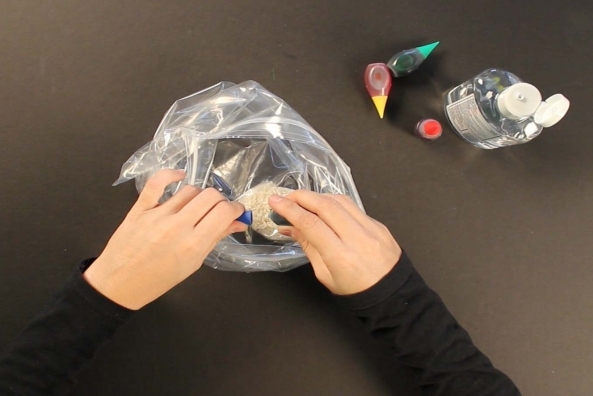 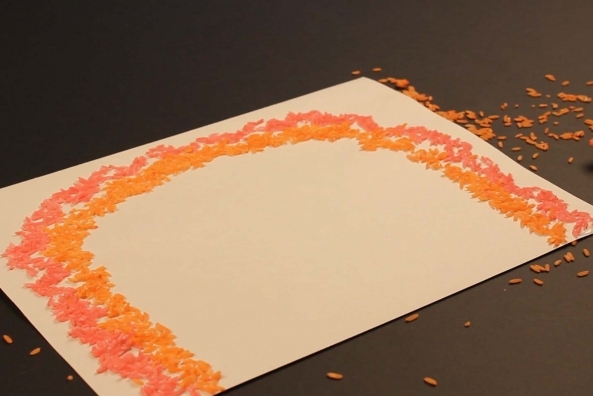 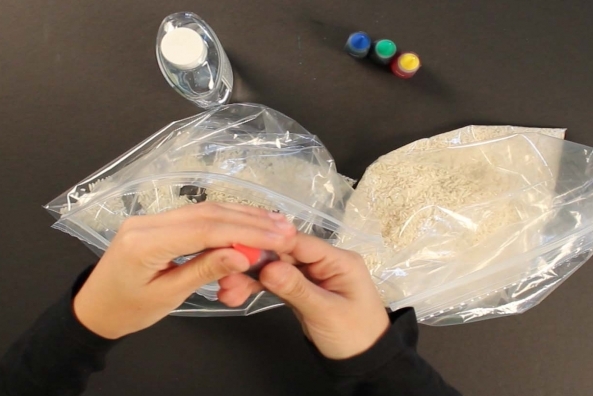 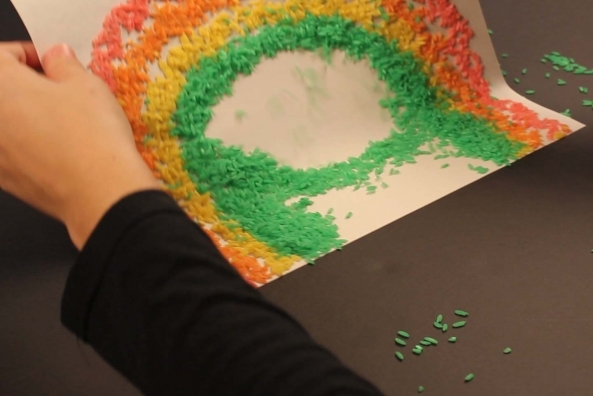 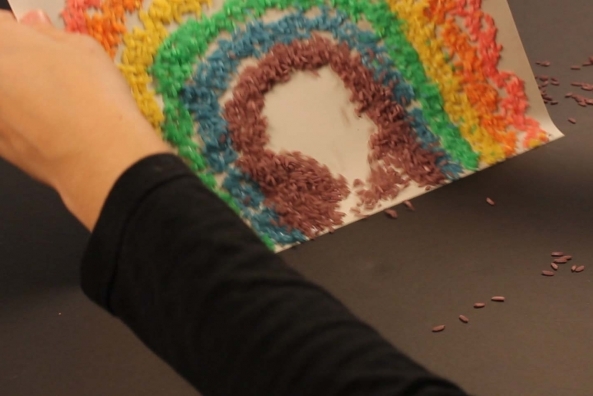 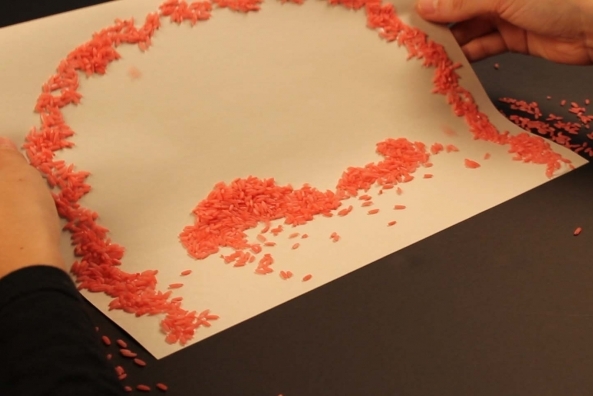 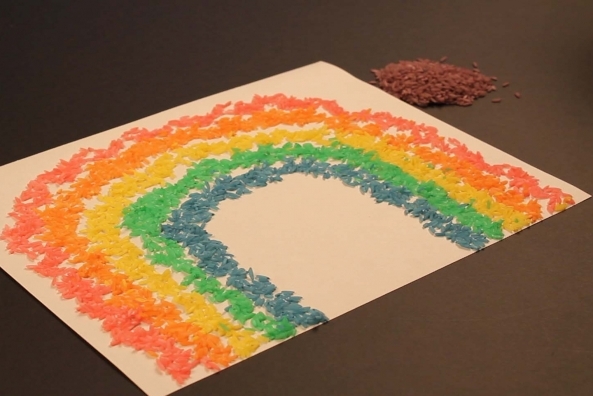 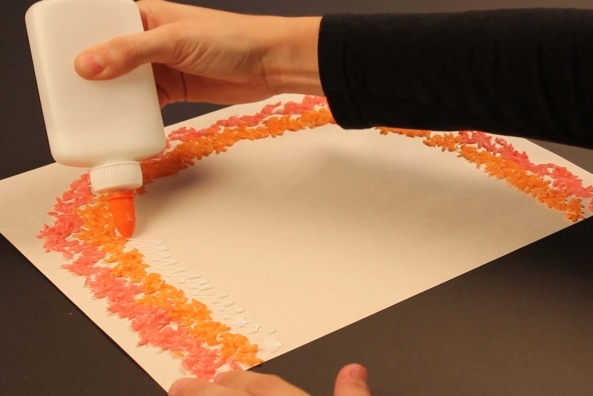 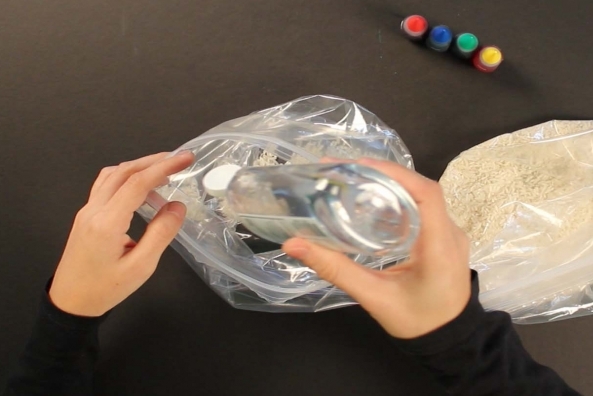 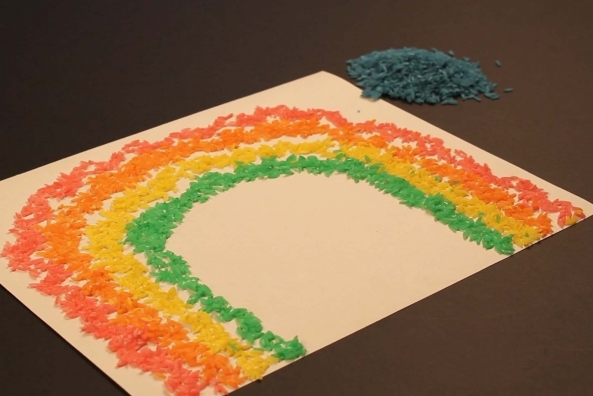 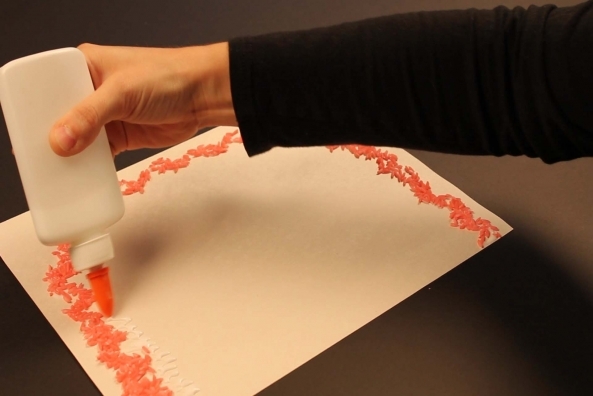 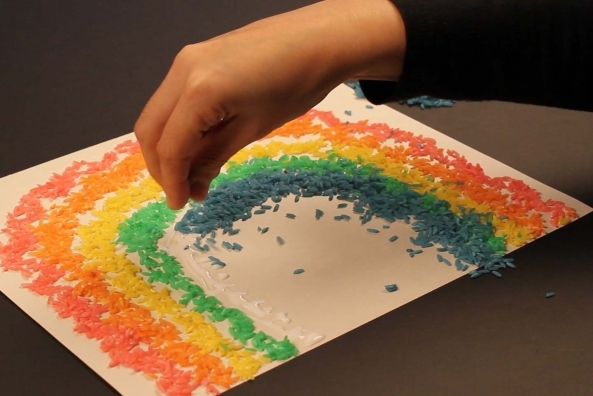 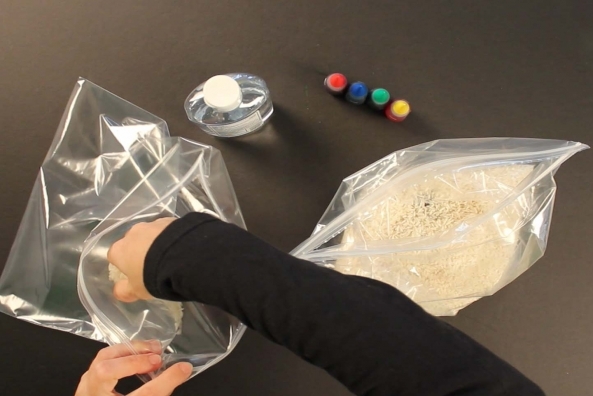 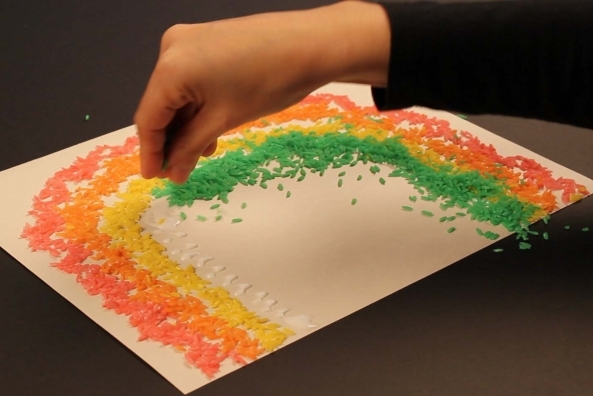 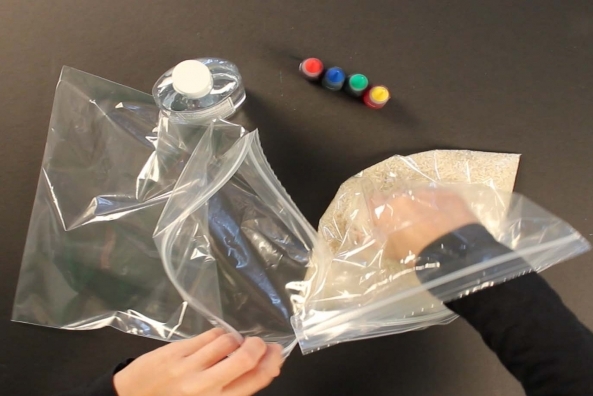 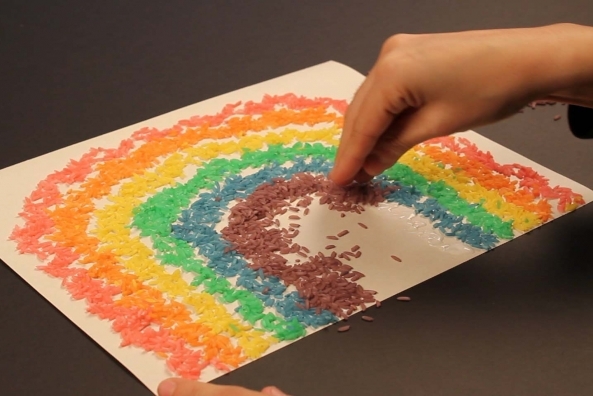 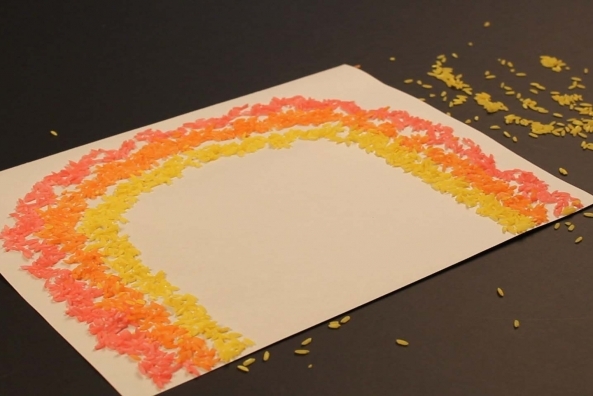 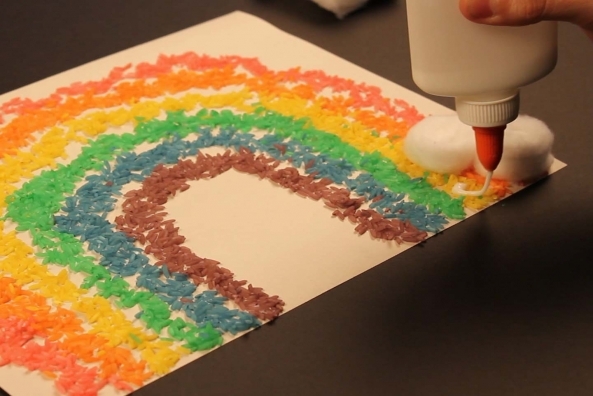 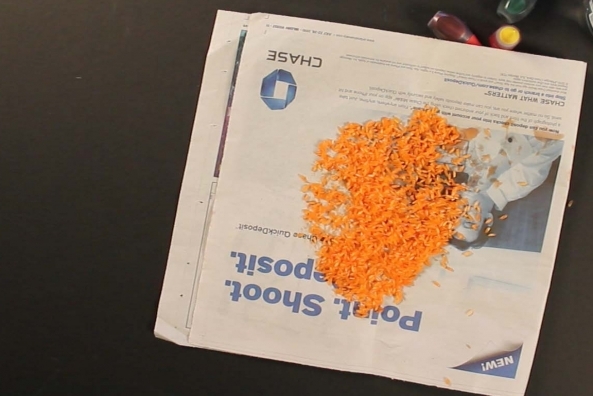 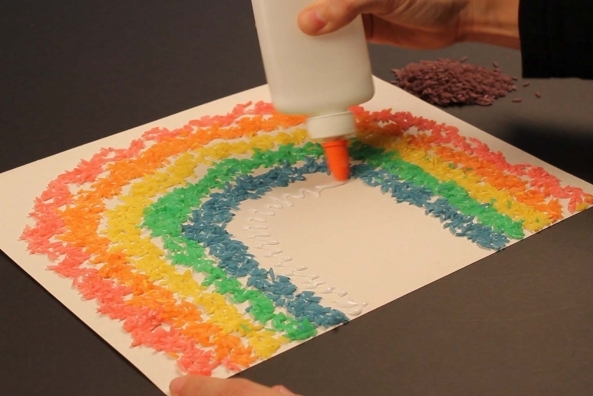 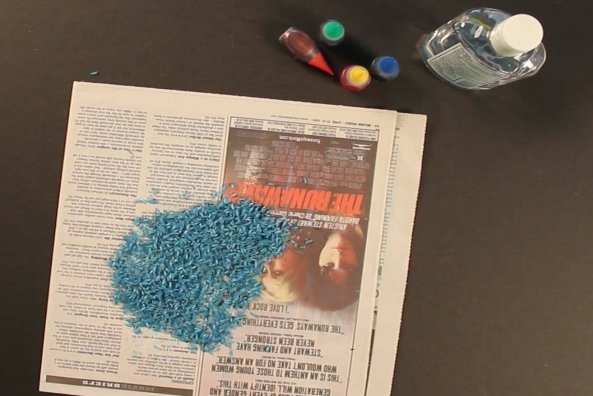 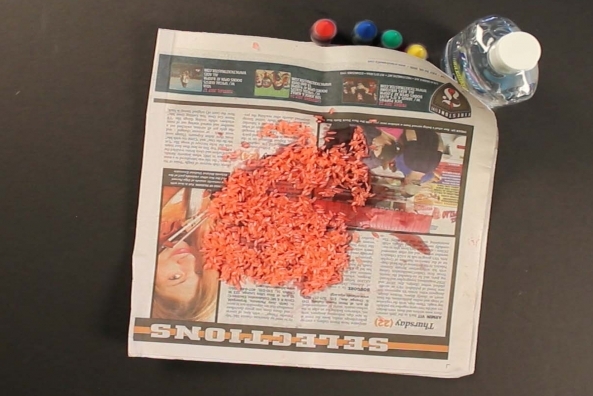 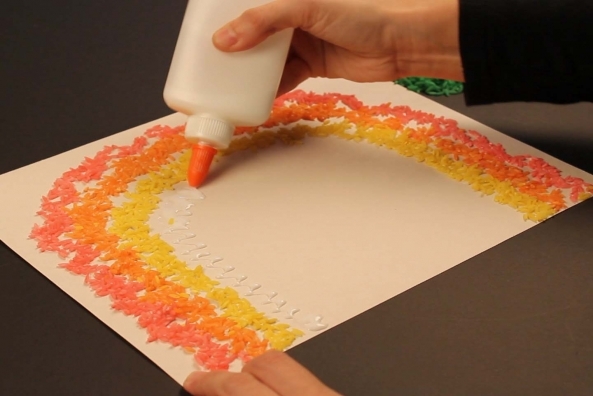 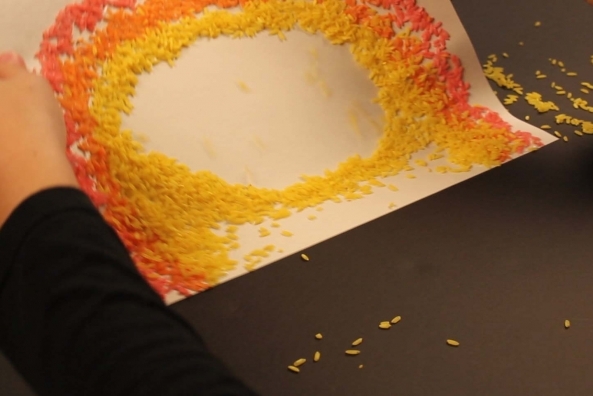 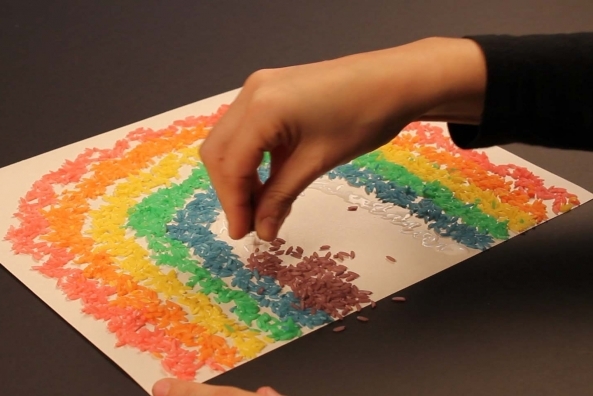 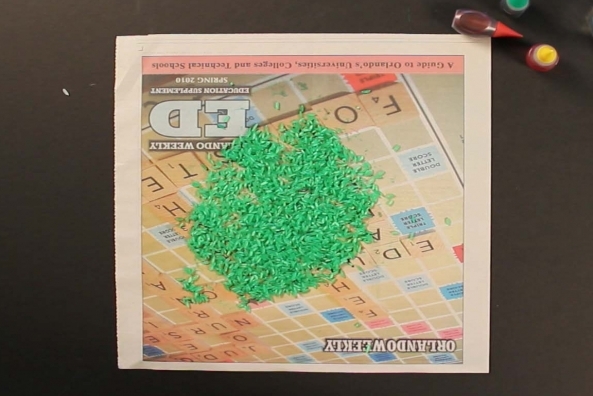 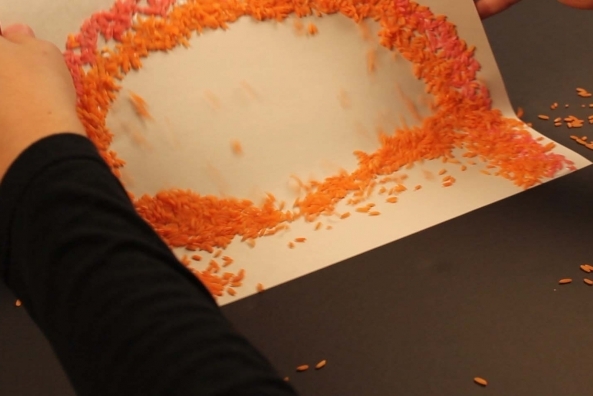 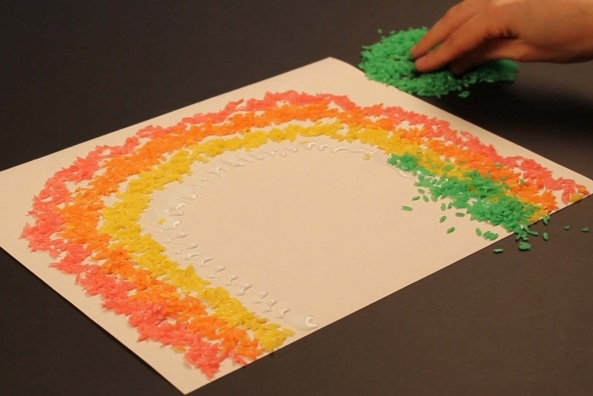 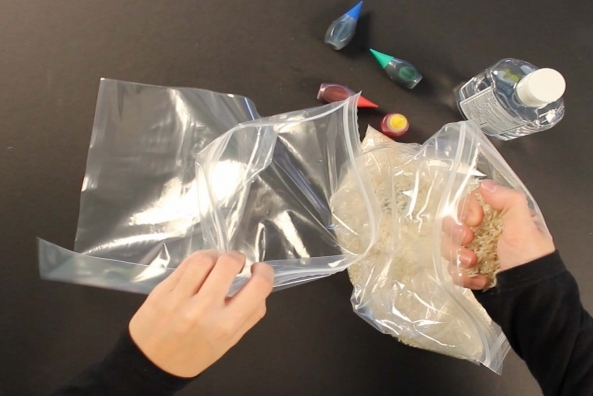 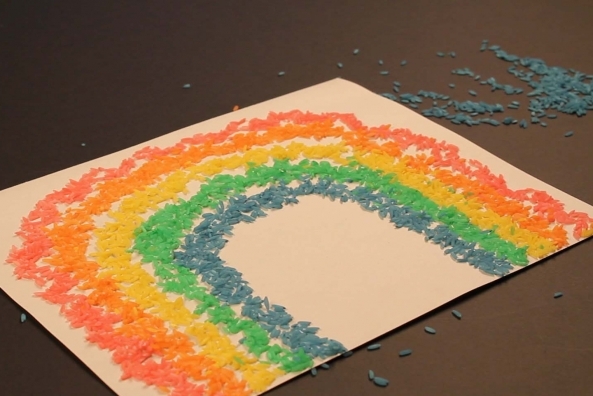 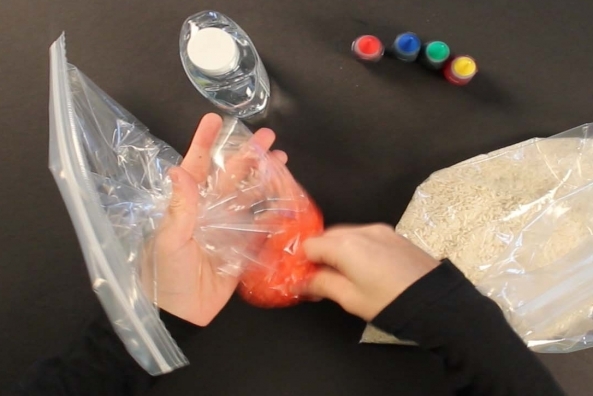 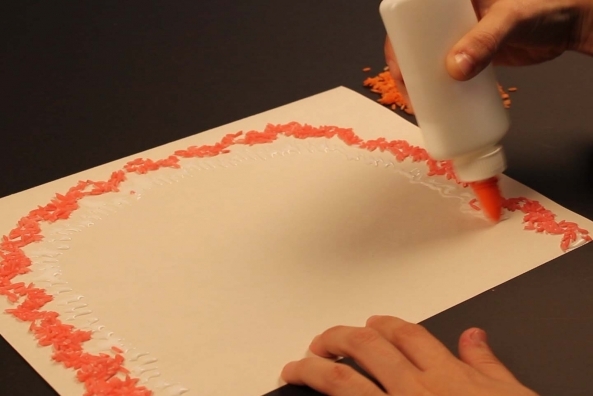 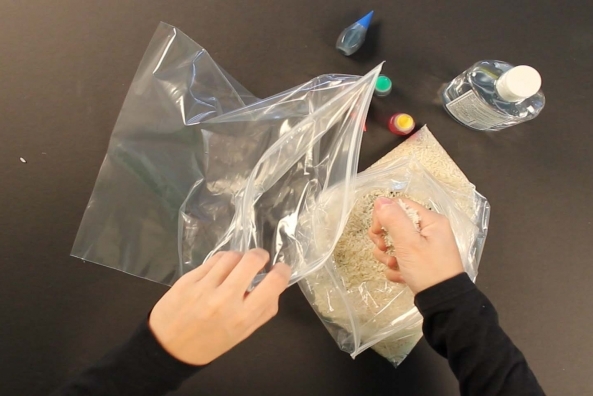 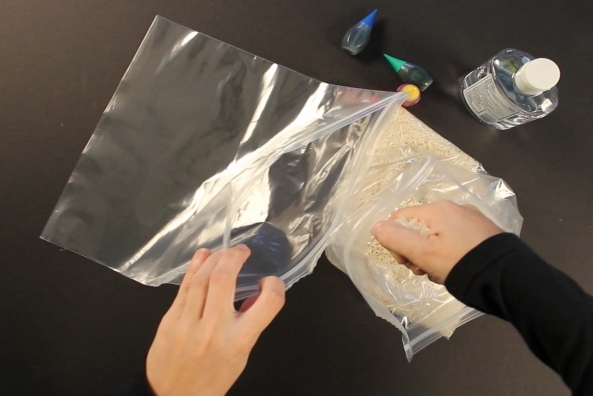 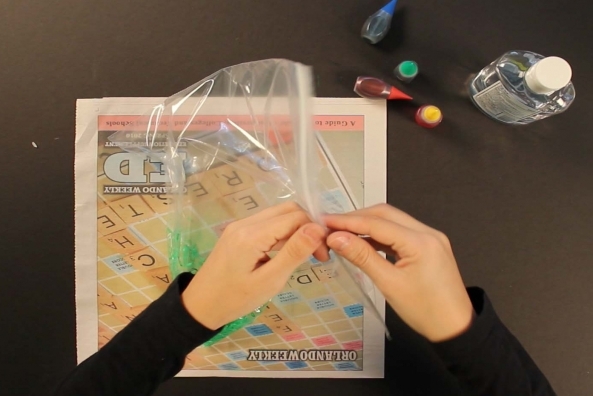 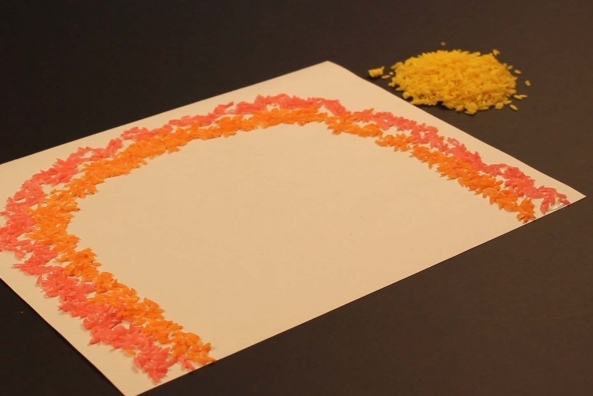 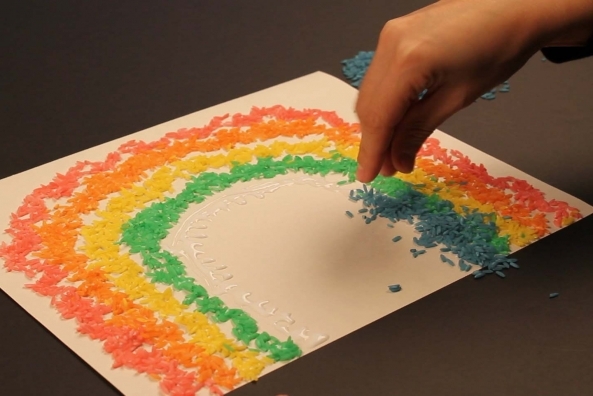 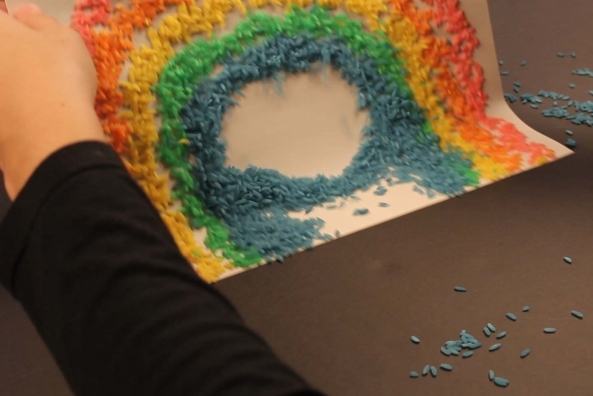 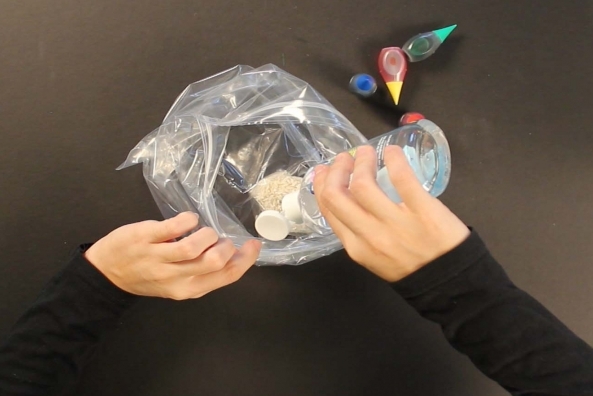 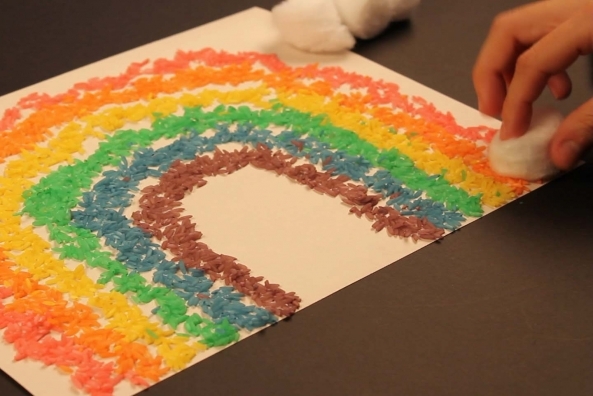 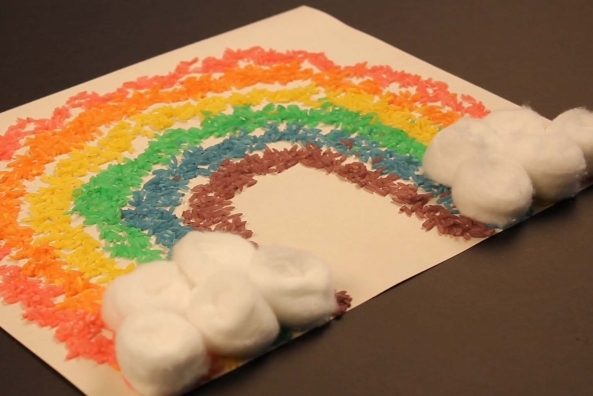 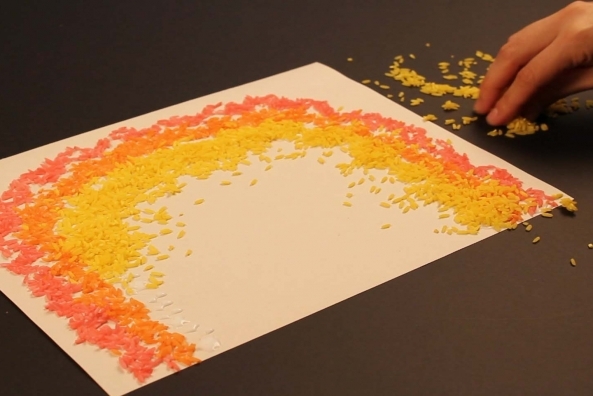 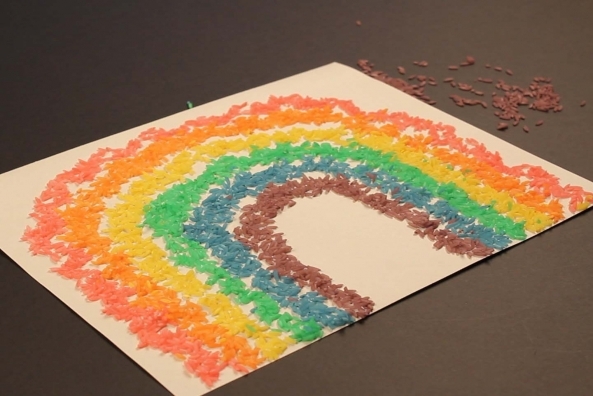 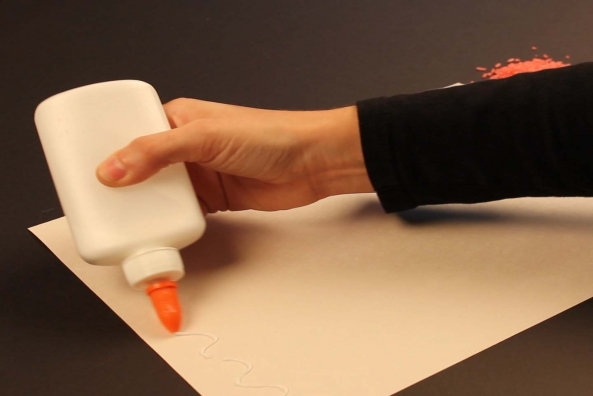 Turn rice any color of the rainbow with food coloring and hand sanitizer. 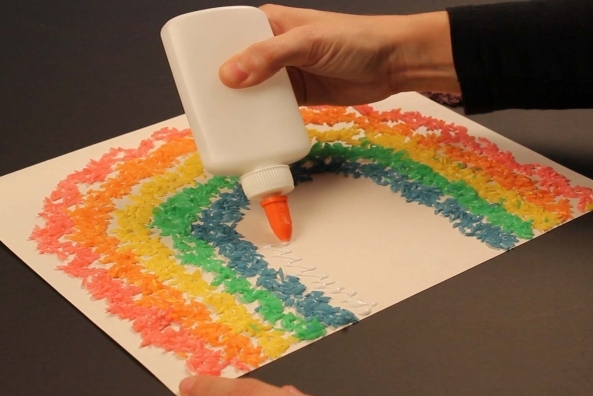 Then, make a rainbow! 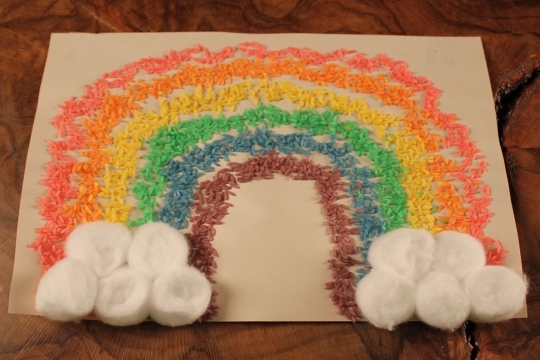 Have you ever dreamed for you own rainbow? 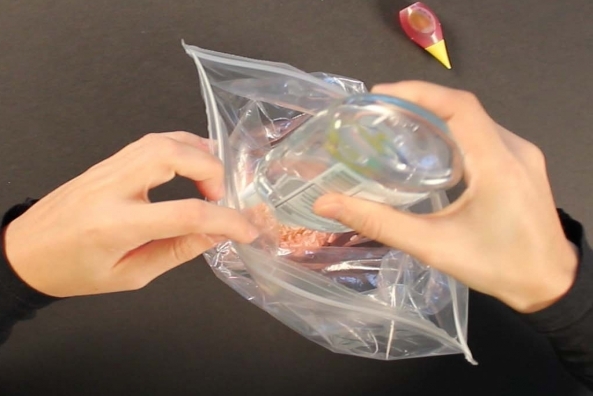 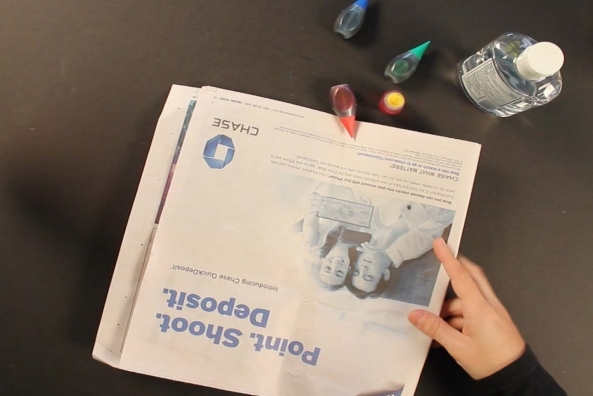 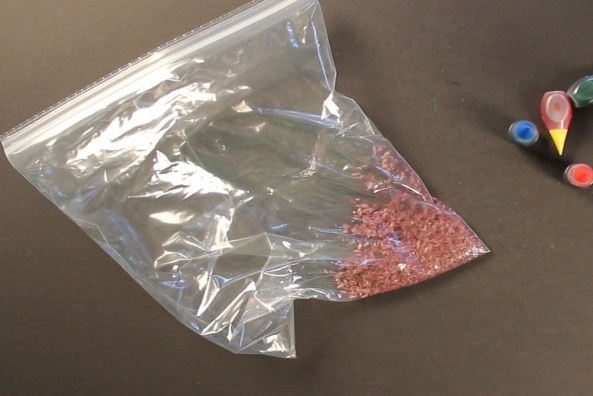 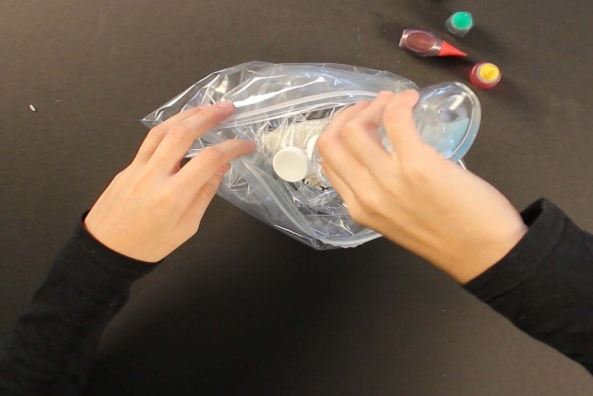 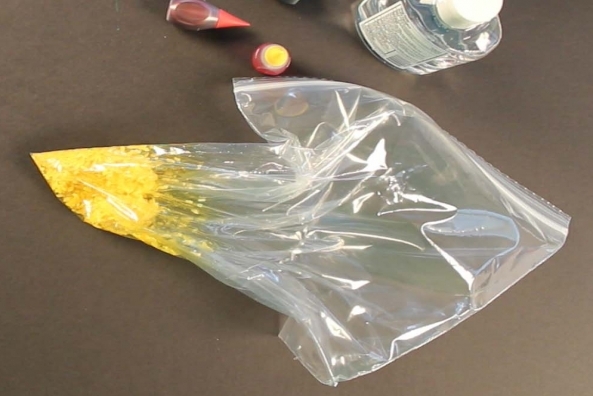 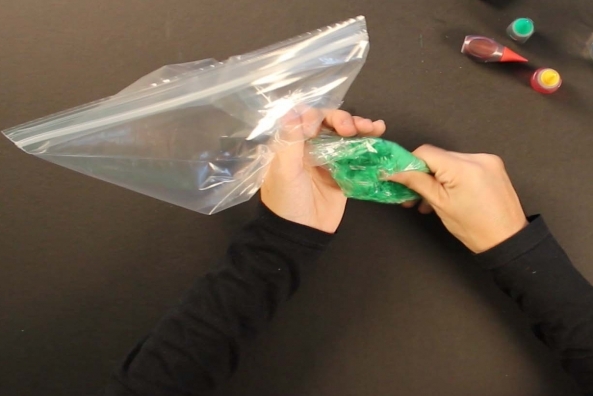 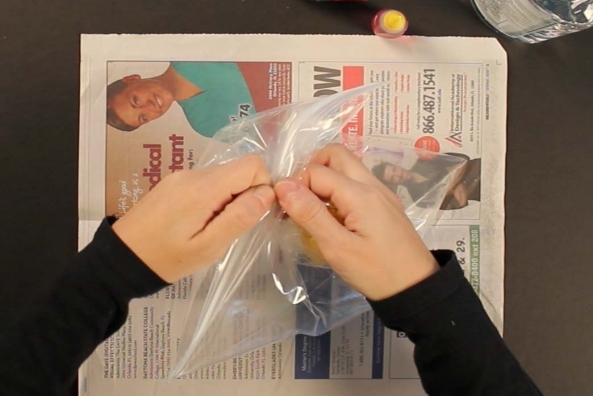 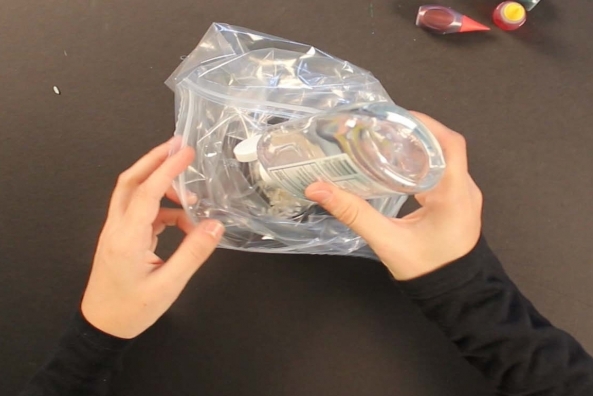 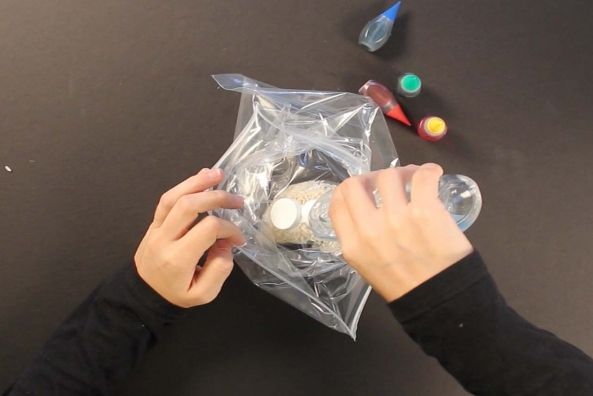 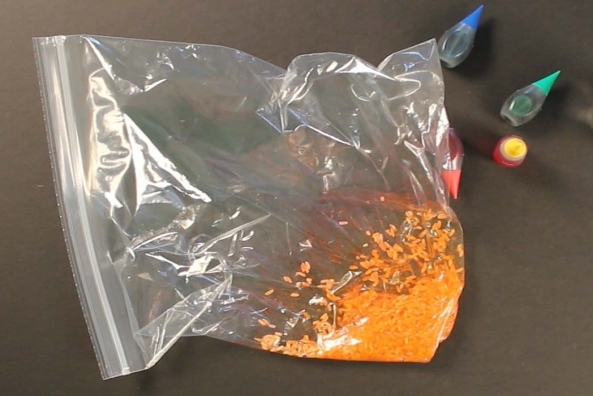 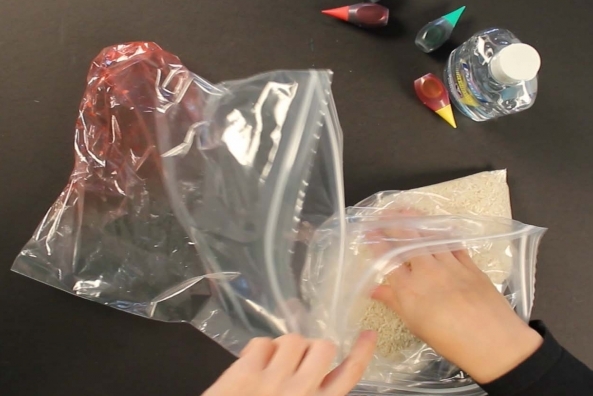 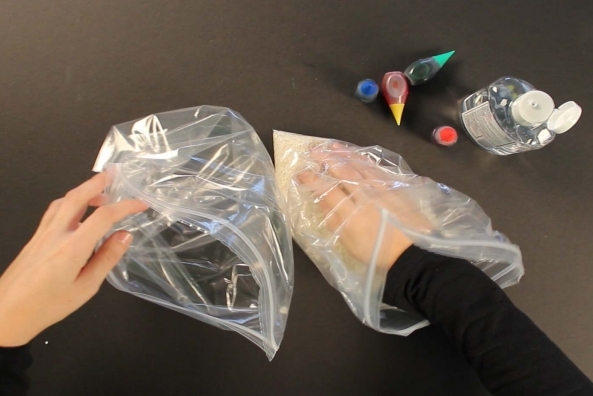 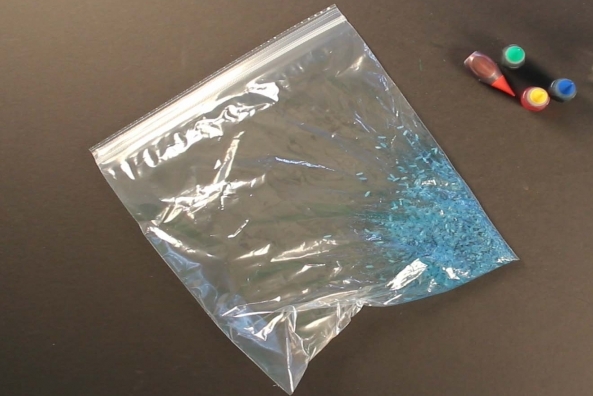 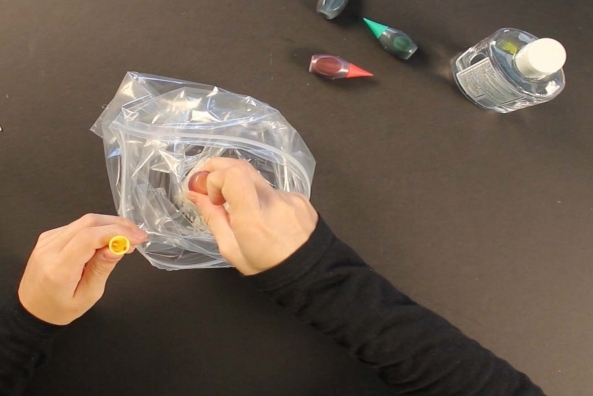 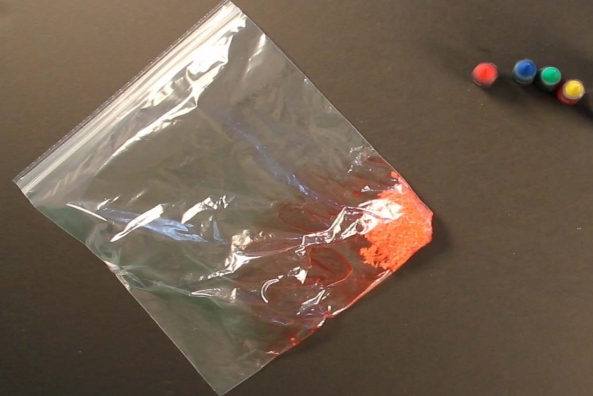 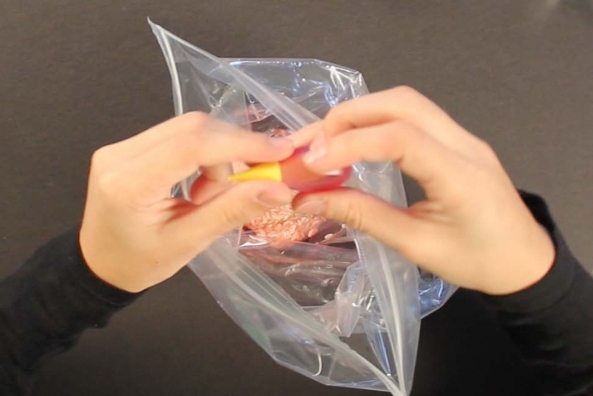 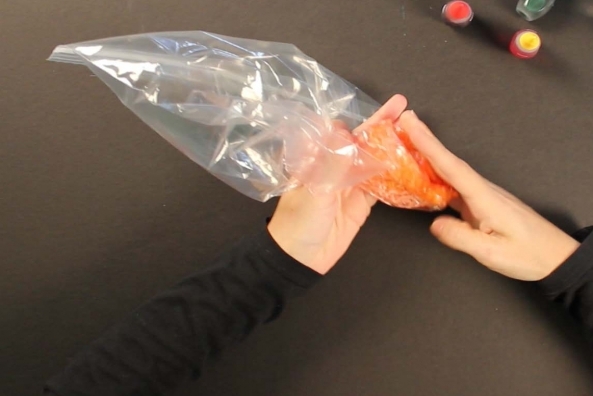 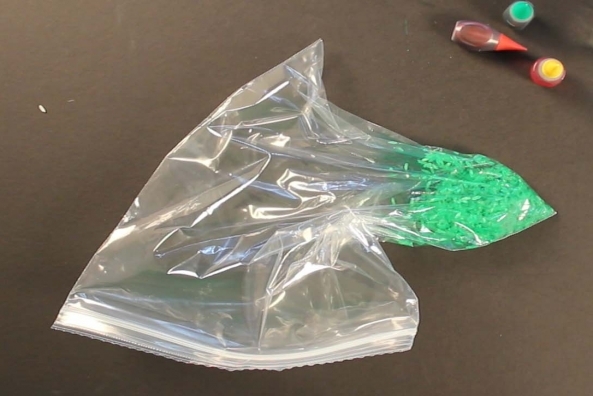 Put one handful of rice, two squirts of hand sanitizer, one drop of blue food coloring and two drops of red food coloring into a plastic bag. 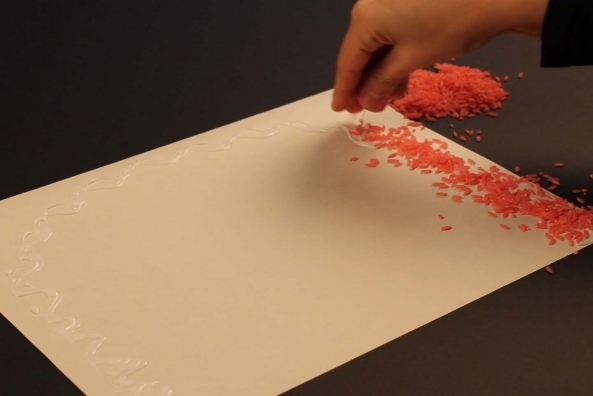 Shake it up! 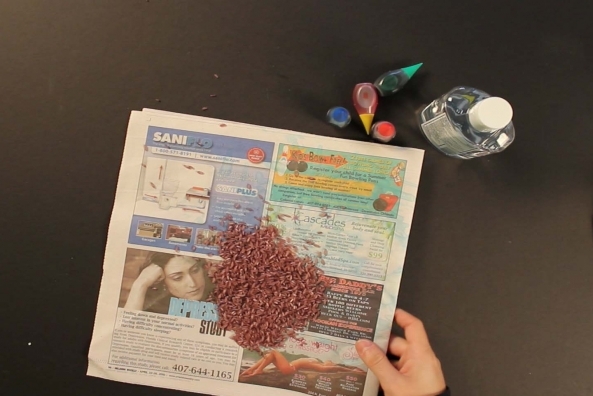 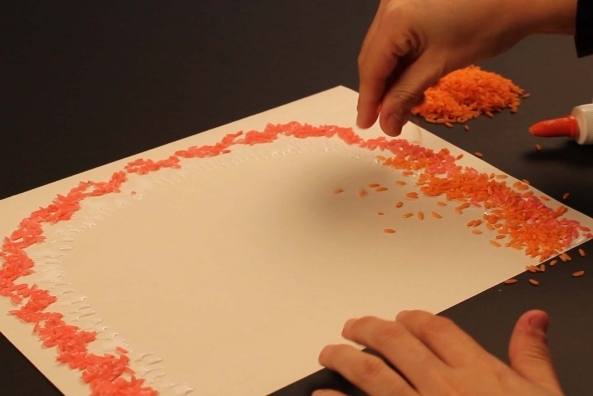 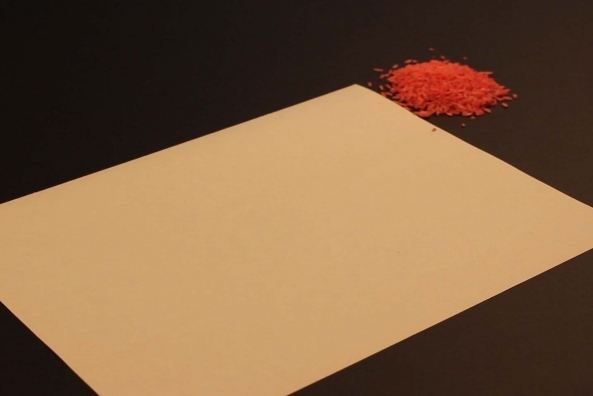 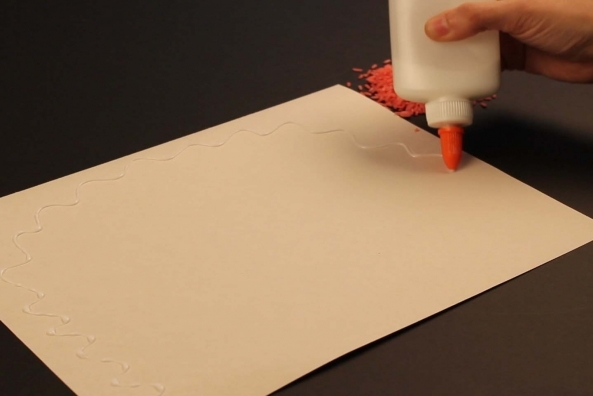 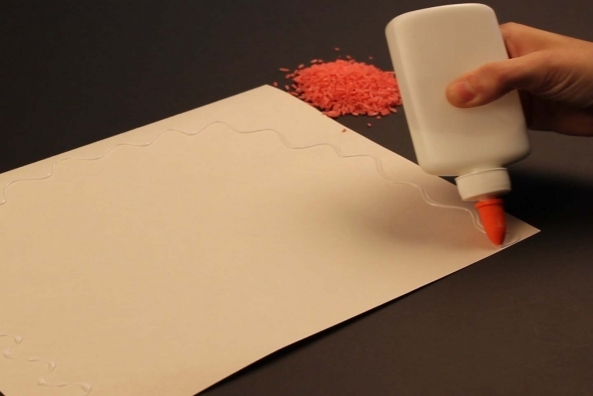 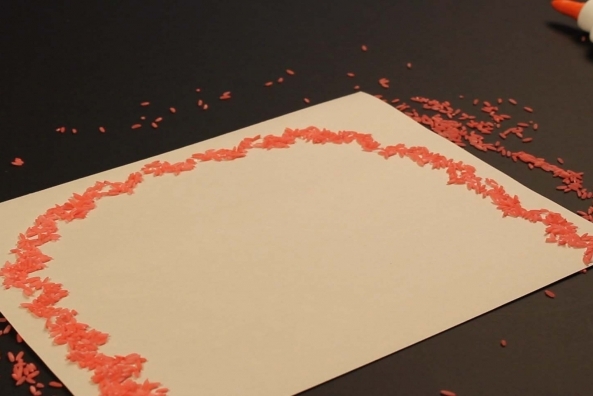 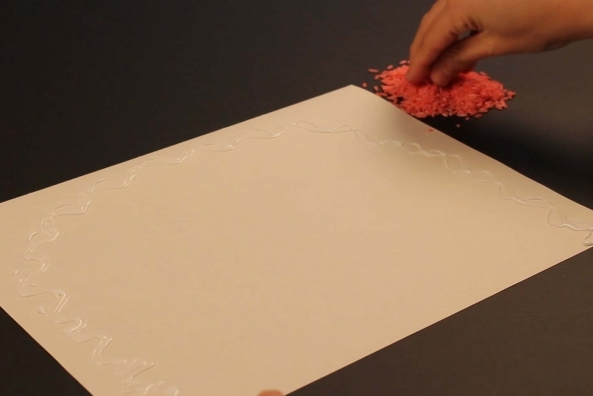 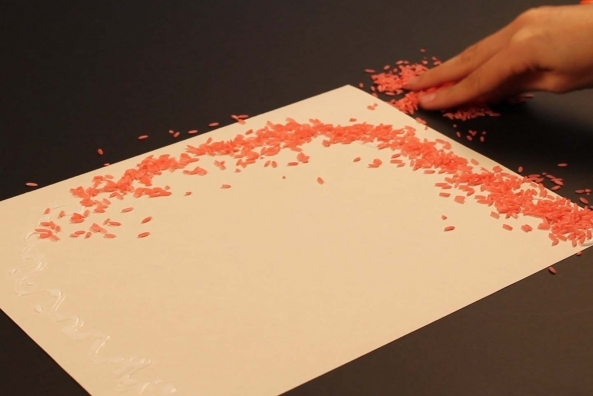 Draw another C with glue under the blue rice and sprinkle the purple rice.